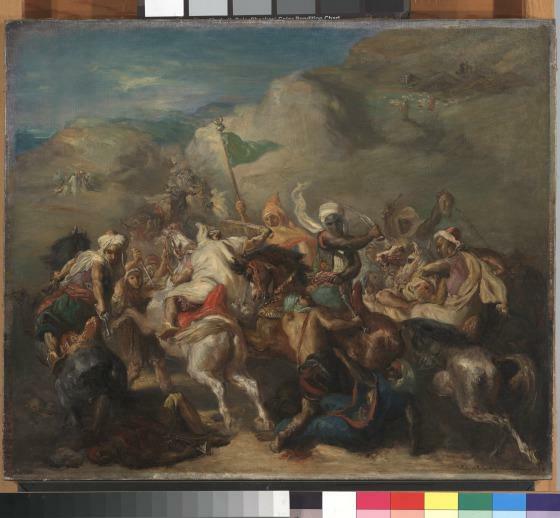 The central group of soldiers and horses is sketched in loose, expressive brushstrokes that mimic the swirling intensity of the closely fought battle. 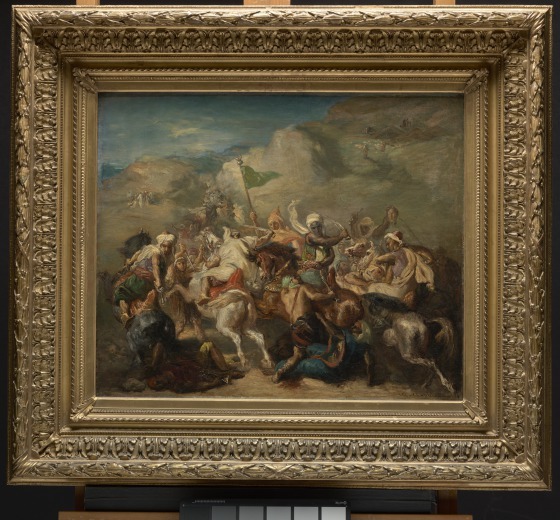 Grisly details of the combat—a severed head, blood stained scimitars, the wild–eyed terror of the horses—emerge from the dense composition. 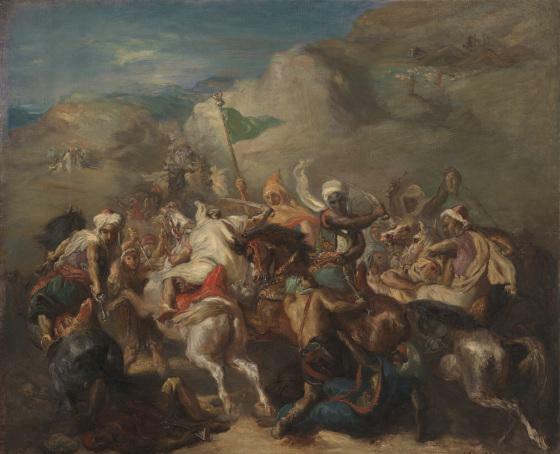 The surrounding landscape is, by comparison, almost formless, the mere suggestion of a backdrop for the drama of the battle. 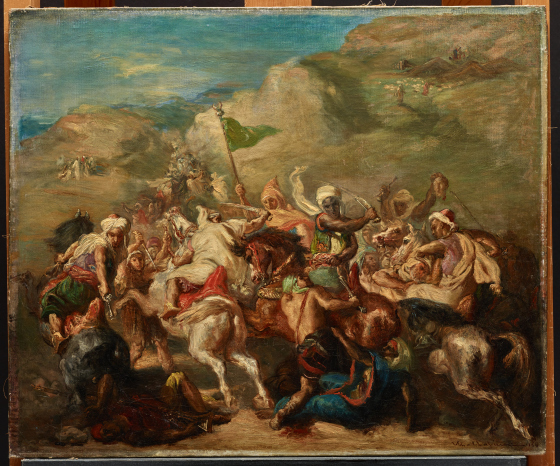 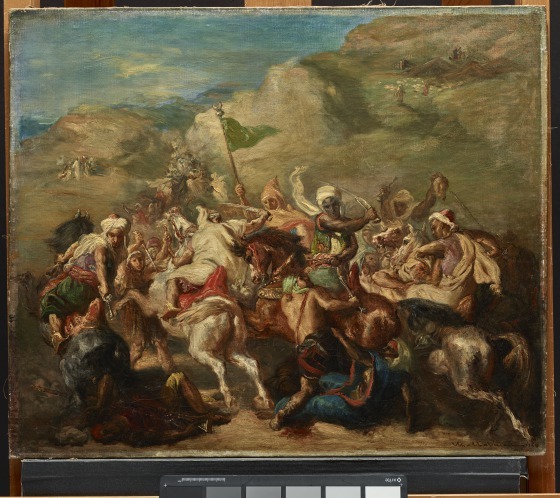 Théodore Chassériau painted this small battle scene soon after returning to France from Algeria. 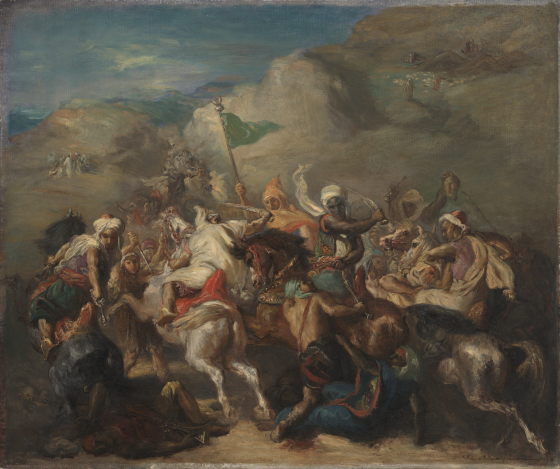 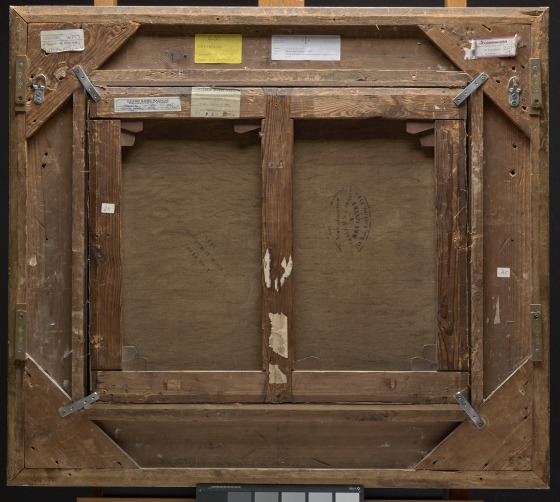 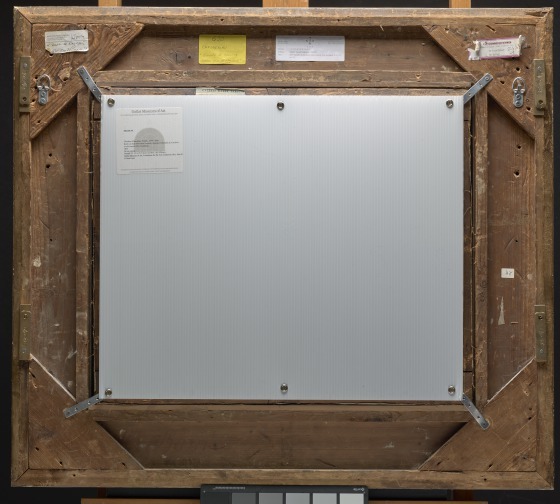 The exotic and violent subject matter, which reflected the often bloody French colonial conquest and occupation of Algeria, would have been charged with political significance for Chassériau's contemporaries.